I was recently gifted a bonsai. Nature miniaturized: potted, shaped and pruned. Inspiring contemplation while cultivating horticultural expertise. Wish me and the bonsai luck! This is my first Six Word Fridays in a while! Glad to be back in the swing, even though the meme will now be on a hiatus until the New Year – LOL. Have you ever cared for a bonsai? Is it still alive? Ha. Ha. Ahem. Love this! 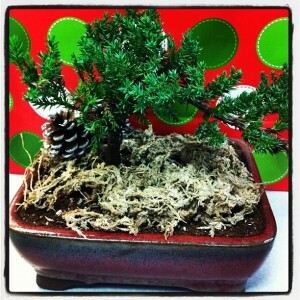 Have considered getting my husband a bonsai – he loves them! I think he’d like to have one in his office for breaks…could even be his surprise Christmas gift! Also, if we ever have a competition for the 6 wd phrase with the most letters, I think your “Inspired” line would win! Enjoy your holidays! Thanks for your kind words. I need to confess that years ago I killed a bonsai. Not from neglect but from ignorant mishandling. I aim to be a better bonsai owner this time around. 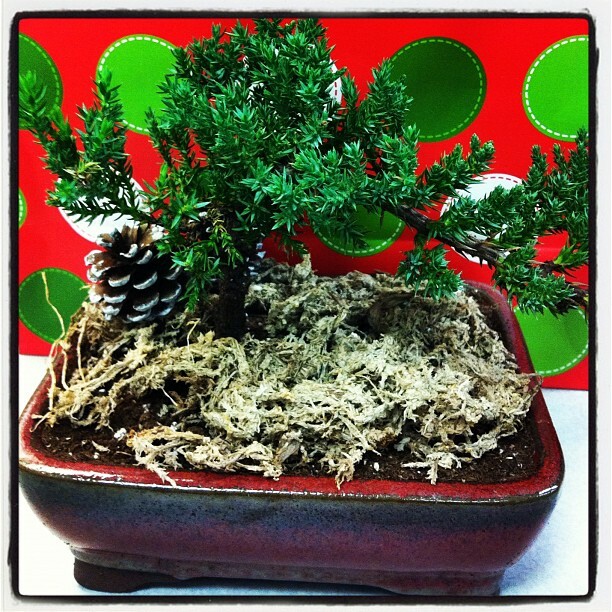 Best wishes to you–and your bonsai. My niece’s husband was a bonsai artist, (sadly, we lost him in October) as is his father. I think they’re just beautiful, that miniature world. Thanks Patti! I’m really going to try. I would surely kill it, but yours looks hardy! No doubt you’ll be a zen bonsai master in no time. But I have always wanted one. With a teeny tiny little rake. A dedicated waterer I am not. LOL, Sasha. Awesome comment. I too have always wanted a sand garden with the little rake and maybe a wee rock or two. I’m not good at watering either.